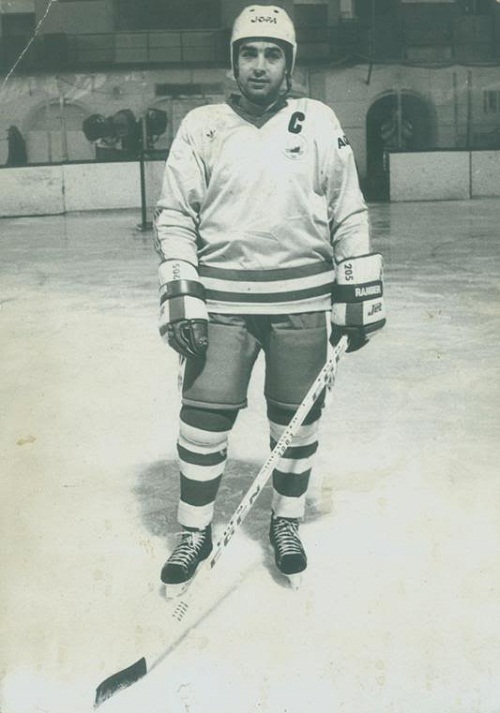 After scoring two goals to help Romania pull off a monumental 5-4 upset over the United States (a team which included several National Hockey League and World Hockey Association professional players) at the 1977 IIHF World Championships in Vienna, Austria, national team star DORU TUREANU of Dinamo Bucharest was reportedly offered a lucrative contract by the contemporary NHL powerhouse Montreal Canadiens, the star-studded cast in the middle of winning four Stanley Cup titles in succession. Spearheaded by a hat trick from national team star DORU TUREANU of Dinamo Bucharest on the final day of the competition, the Romanians clinched the mythical championship of the B Pool tournament at the 1976 Winter Olympic Games with a dramatic victory. A third goal of the contest from Tureanu with just over four minutes remaining in the match enabled ROMANIA to edge Switzerland 4-3 at the Messehalle in Innsbruck and finish two points clear in the standings ahead of host nation Austria. Truth be told, the Romanians, who only lost narrowly to neighboring Yugoslavia, would have done with a draw in their final B Pool round-robin match against the Swiss. In part because the matches, themselves, had been traditionally attended poorly over the years, the B Pool tournament was eliminated entirely from the Olympic program after the 1976 Winter Games at Innsbruck; the ice hockey competition for the 1980 Winter Olympic Games to be held at Lake Placid, however, was expanded to include twelve nations at the final tournament.